There are seven new Challenges to choose from each year. Each of the Challenges is developed by a team of educators and industry experts who target a particular area of the curriculum and its related standards of content and performance. The areas of focus include: Technical, Scientific, Fine Arts, Improvisational, Structural and Service Learning. There is also a non-competitive Early Learning Challenge for “Rising Stars” that allows participants to develop social and problem solving skills. The team’s solutions are assessed at regional, state or country tournaments. While most schools run DI as an after school program, some school districts incorporate the program into their electives curriculum or you can participate as an independent team. Our tournaments provide the opportunity for participants to celebrate creativity with their peers and promote healthy competition. Every year, local volunteers help run 200 tournaments around the world. Teams choose one of seven Challenges. After weeks spent creating and developing their solutions, they go to a Regional Tournament. Top-scoring teams advance to their state or country tournament, also known as an Affiliate Tournament. The top tier teams from each Affiliate Tournament have the opportunity to participate in Global Finals—the world’s largest celebration of creativity. 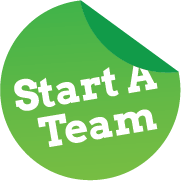 For more information on getting started, visit our “Start a Team” link below. Every year, Destination Imagination writers develop a new Rising Stars! for Early Learners Challenge. They focus on creating a fun learning environment and allowing kids to be creative. The Challenge is noncompetitive, which helps ease pressure and lets kids play and experiment with their solutions. However, there is a showcase option, which allows teams to perform their solutions at a tournament. Click here to start a team today!